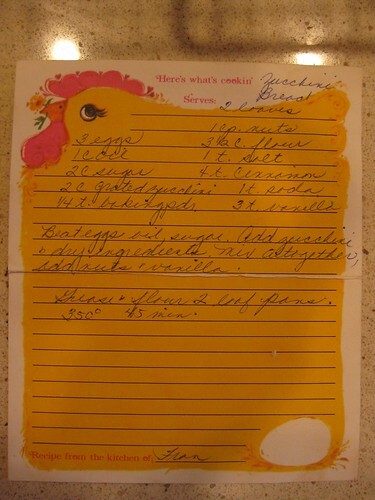 When I was a young bride, my newly acquired sister-in-law gave me this recipe for Zucchini Bread. Isn’t that cute recipe card stationary? Beat eggs, oil, sugar. 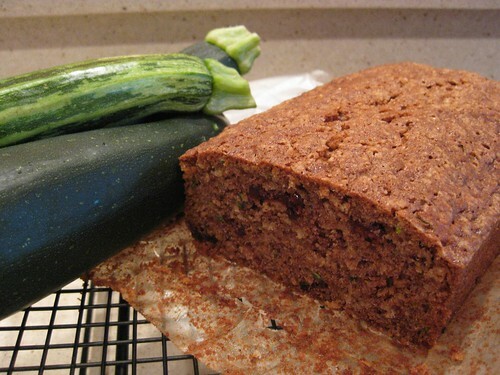 Add zucchini and dry ingredients. Mix all together, add nuts and vanilla. Stir. This is how it turned out today. Are you going to share on Monday????? with ice cream ! ! ! ! There was a line of stationary products, notecards, stationary with matching envelopes, recipe cards, etc., about that time, sold like a party plan. Just A Note? maybe was the name. I probably still have some tucked away here, just in case I ever need to write a note, again!